This study was carried out to investigate the effect of perioperative high oxygen concentration on surgical site infection (SSI) in patients undergoing elective colorectal surgery. This was a single-center, prospective, parallel arm, double-blind, superiority randomized controlled trial. All patients more than 18 years of age undergoing elective colorectal surgery were included as per the inclusion criteria. Patients were randomized at the time of induction of anesthesia into high concentration and standard concentration oxygen group based on the concentration of oxygen. 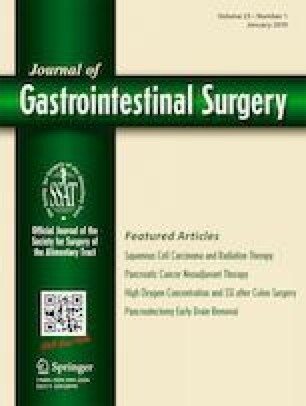 Incidence of SSI, day of the detection of SSI, grade of SSI, incidence of anastomotic leak, postoperative day of return of bowel functions, day of starting oral feeds, day of ambulation, and length of hospitalization were studied in both the groups. A total of 94 patients were included in the study, 47 patients each in high concentration oxygen group and standard concentration oxygen group respectively. The SSI rates were comparable between the two groups [55.3% (95% CI—4.012–69.83) vs. 40.4% (95% CI—26.37–55.73); p = 0.215]. There was no significant difference found with respect to mean day of detection of SSI [4.5(IQR—3.0–7.5) vs. 6.0 (IQR—3.0–9.0; p = 0.602], postoperative day of return of bowel functions (2.20 ± 0.542 vs. 2.13 ± 0.582; p = 0.540), oral feeds (3.62 ± 0.945 vs. 3.46 ± 1.048; p = 0.544), ambulation (4.17 ± 0.868 vs. 4.17 ± 1.270; p = 0.987), and the length of hospitalization [15(IQR—10–19) vs. 15(IQR—10.75–18.25); p = 0.862] between the two groups. There was no significant difference in the rate of SSI with the use of perioperative high oxygen concentration in patients undergoing elective colorectal surgery. The authors acknowledge the support of the Jawaharlal Institute of Post Graduate Medical Education and Research (JIPMER, Pondicherry, India) towards the conduct of the study. All the authors were involved in the acquisition and analysis of the data. Dr. Vikram Kate contributed towards the conception of the work and also revised the manuscript critically for intellectual content. Dr. Mangal Mayank was the principal investigator and contributed towards acquisition and analysis of data and preparation of the manuscript. Dr. Subair Mohsina, Dr. S. Sureshkumar, and Dr. Pankaj Kundra contributed towards analysis of data and preparation of the manuscript and its critical evaluation. No grants/funds used for this research project.